Seymour Superintendent of Schools Michael Wilson says he is considering revising the athletic director position. They hired Michael Kearns, a 28-year-old former Newtown High and Endicott College defensive back as its new football coach and Matthew DeMarco, a Seymour High physical education and health teacher as the new outdoor track coach. Meanwhile the Board accepted the resignation of Tara Yusko, as the athletic director and assistant principal at Seymour Middle School. It takes effect March 4. Yusko has been the subject of parental complaints in recent weeks over the way issues with high school sports particularly football, girl’s soccer and indoor track were handled. The girls’ soccer team forfeited two games this season because ineligible players were used. That resulted in the team being denied a berth in both the Naugatuck Valley and state tournaments and cost the school board a $100 penalty. Superintendent of Schools Michael Wilson told the Board he is working on “re-drafting the Athletic Director/Assistant Principal” position. His plan is to combine the athletic director position with that of dean of student affairs and base that person at the High School. Yusko worked out of the Middle School this school year. Wilson said he is hoping to find a retired scholastic administrators to serve on an interim basis between March and June as athletic director and assistant principal of the Middle School or both. He said he would reach out to his network as well as post it as an interim position. Susan DeRosa, a parent, urged the Board to hire an athletic director who “is passionate about sports” and can help student athletes find scholarships. It all began in May when Tom Lennon, the head football coach since 2009, was placed on administrative leave. Then Joe Deptula, one of Lennon’s assistants was told his contract was not being renewed. That led to the other football assistant coaches—John Gilbert, John Johnson and Jamie Burns resigning. All this stemmed from a police investigation of a complaint lodged with the state Department of Children and Families. A former football player told DCF he was assaulted both physically and sexually by a teammate in the locker room. .The incident took place a few years ago and the assailant was arrested last month on charges third-degree sexual assault, third-degree assault, reckless endangerment and risk of injury to a minor. That case is pending in Waterbury Juvenile Court. The resignations impacted other sports. Johnson, who is now at Amity High School, had served as the indoor track coach. 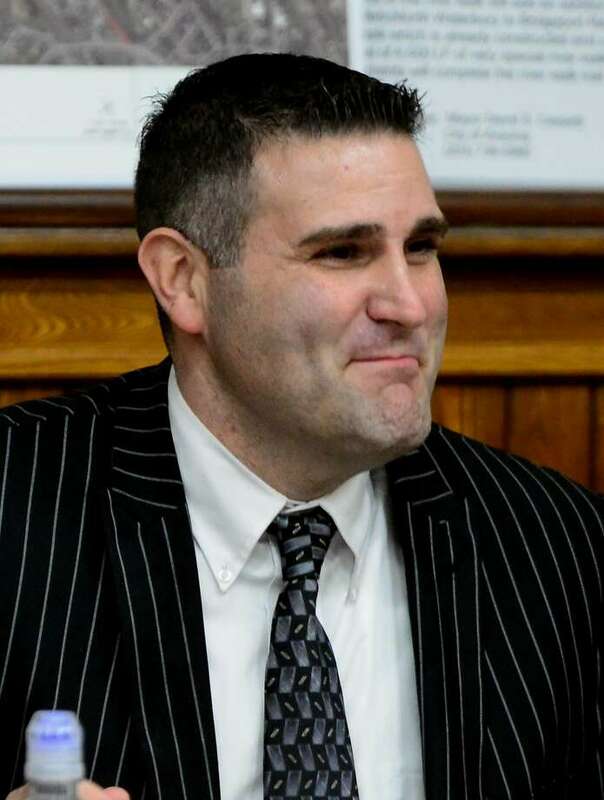 Burns agreed to take on the job with the understanding he could not make practices or meets until 3:30 p.m. because of his job in the Waterbury school system. As a result the indoor track team was late to its first two meets forcing participants to miss their events. Several athletes including McKenzie Collins, Patty Jurkowski and Amber Recine told Hearst Connecticut Media they were concerned about the outdoor track season. Wilson said DeMarco, the new outdoor track coach served as indoor and outdoor track coach and assistant cross country coach at Conrad High School in West Hartford. Kearns, who works in manufacturing, said he is looking forward to serving as Seymour’s head football coach. “I know the kids and we have a great group coming back this fall,” said Kearns who was the defensive coordinator last fall under Steve George, the interim head coach. “We got off to a late start last fall,” said Kearns who attended the Board of Education meeting with George who was hired and had to assemble a staff a month before the first game. “But the kids did a great job. We lost three games by a total of 11 points. Meanwhile the Board of Education’s committee on athletics is expected to discuss locker room supervision and the status of spring sports during their Feb. 7 meeting at 5:30 p.m. in Seymour High School, 2 Botsford Road.